Trees, shrubs, and hedges are a vital part of any landscape. Whether they provide shade, color or an eye-catching focal point, it’s vital that they are pruned regularly. In addition to making the yard more attractive. Regularly scheduled pruning services ensures that plants stay healthy and robust. Everyone has seen yards in which walkways and windows are partially or mostly obscured by overgrown vegetation. In addition to looking unkempt, these conditions also keep natural light from entering the home. It’s additionally possible for an overgrown bush to hide issues like weeds or to make it difficult for grass to thrive beneath its wildly spreading branches. Pruning is the answer for taking care of these and other detrimental conditions. However, trimming back trees and shrubs aren’t as simple as heading into the yard with some clippers. The real strategy is necessary to do the job well, and that includes having the right tools to get the job done. The technicians at Boulder Falls Landscape are experts when it comes to pruning bushes. With their assistance, many people are able to enhance the curb appeal of their homes while also finding new ways to enjoy their yards. Pruning improves the look of almost any plant or tree by refining the shape and removing dead limbs. 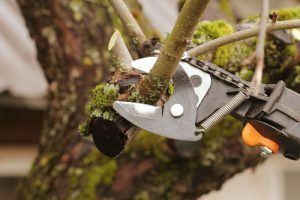 Most people are surprised to learn just how inexpensive it can be to have their pruning projects tackled by a professional. Pruning not only makes any yard look well maintained but also, it’s good for the health of the plant. A well-trained technician can quickly and easily identify branches that are damaged or dead, targeting them for removal. Selectively thinning bushes and trees similarly makes it possible for sunlight to reach the plant’s interior, which means enhanced air circulation. Plants that get pruned regularly and appropriately enjoy denser growth, better color, and bigger blooms. With so many reasons why pruning is good for plants, it’s easy to see why it makes sense to turn this chore over to the professionals. Boulder Falls Landscape provides a full range of pruning services to homeowners throughout the Vancouver, Washington area. Call Boulder Falls Landscape at 360-991-1347 to schedule service today.